Hinterland Travel is a specialist adventure holiday and travel company, founded on over 40 years of overland adventure travel experience by Geoff Hann, its owner and managing director. We provide tours mostly in Iraq, Afghanistan, Pakistan and India (notably Kashmir). On our adventures we want our groups to get the cultural feel for the areas that we visit and also see the ancient ruins and sites along with the mountains and deserts. 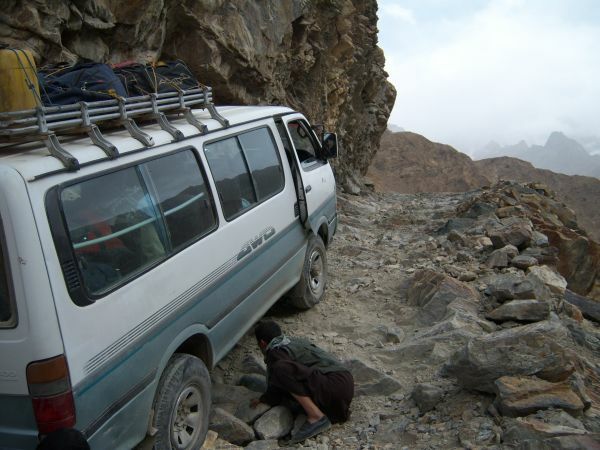 Also in such areas in Afghanistan and Iraq these days, safety on our adventures has become a major priority. Please read thoroughly our terms and conditions before making a booking with us. The latest news from Iraq and adjacent countries is showing progress from the chaos of the last 3 years. We have added the Royal tombs of the brief monarchy of Iraq in Baghdad and now the Ziggurat of Agargouf and the Minaret of Samarra and and adjacent Royal palace are back on our schedules. The tours in 2018 were very successful and for 2019 we have a full programme beginning in March. As this coming year progresses we hope to add an extra day or two in the north to revisit Assyrian sites and the Christian monasteries. 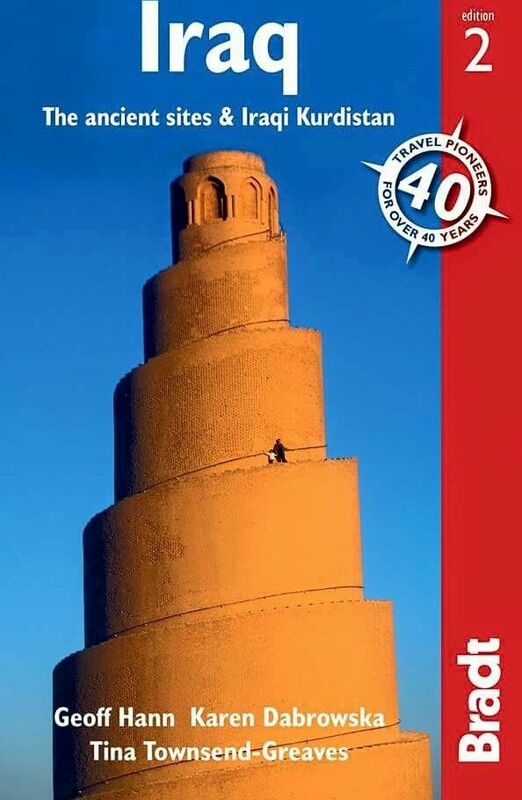 The newish and comprehensive edition of 'Iraq' The ancient sites and Iraqi Kurdistan is published by Bradts Travel guides in UK and is available from them and Amazon. If you have any questions about our Adventure holidays in Afghanistan or Iraq please get in touch with us by calling us on (0044)01484 719549 or email us on hinterland@btconnect.com and we will be more than happy to answer them for you. Due to our heavy tour programme with its personal tour commitment by Geoff, we have decided somewhat reluctantly this 2019 not to take part with our usual stands at the travel exhibitions. We shall take stock of our planned programmes and enhance Hinterland Travel presence for next year 2020, adding some more Exhibitions also. Note bookings made with a booking form and deposit in 2018 for tours travelling in 2019 attract a 5% early booking discount on tours to Iraq and Afghanistan. South Pakistan and the Indus 18 days - Traveling down the Indus River Valley from Islamabad and Peshawar to Harappa and Cholistan desert Sufi sites, visiting Mohenjo Daro, completing the journey in Karachi. Mesopotamia Iraq, 9 and 14 day tours - Baghdad,Samarra, Kish, Babylon, Borsippar, Kerbala, Kufa, Najaf, Nippur, Uruk, Ur, Eridu Marshes, Lagash, Telloh, Basra. Mesopotamia Iraq, 9 and 14 day tours - Baghdad, Samarra, Kish, Babylon, Borsippar, Kerbala, Kuf, Najaf, Nippur, Uruk, Ur, Eridu, Marshes, Lagash, Telloh, Basra. Note. We expect extend our Iraq programmes later in 2019 from 14 to 16 days. Kalash Festival and Karakorum Highway 15 days - In the north of Pakistan with the Kalash people and exploring Chitral, Kalash Valley, Karimabad and the Karakorum Highway. 9 days Baghdad and Northern Assyrian sites and Christian heritage. See our Afghanistan Page for the July 24th Minaret of JAM, Central and North trip. A Kashmir Journey 15 days – Srinagar Lakes and houseboats, Gulmarg and down the mountain road to Jammu, Amritsar then train to New Delhi and the Imperial Hotel. Kashmir - Armanath Holy Cave Trek. 15 days - A Yatra trek through the mountains to Armanath Cave and a rest touring the Lakes and Srinagar. Our special Northern Iraq Ancient cities 8 days tour – Nimrud, Nineveh, Assur and others please request for details. Our projected Afghanistan and Pakistan 3 week tour - includes Minaret of Djam. Please contact us if interested as this trip depends on numbers and security etc. A Kashmir Journey – 15 days – Srinagar lakes and houseboats, Gulmarg and down the mountain road to Jammu, Amritsar and then train to New Delhi and the Imperial Hotel. 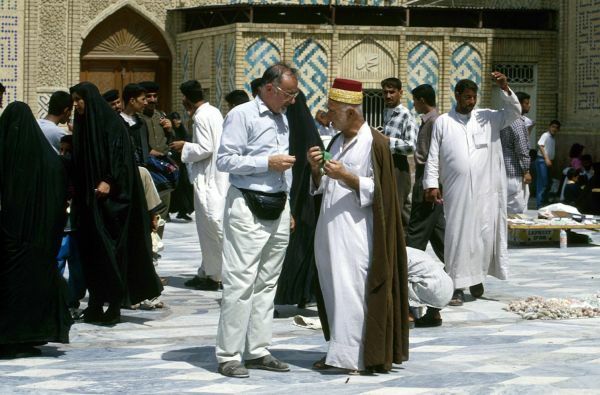 Mesopotamia Iraq special – 11 and 16 days Baghdad, Samarra, visiting Hatra, Assur, Erbil, Nimrud, Kirkuk, Mosul, Samarra Baghdad, Babylon, Kerbala, Kufa, Najaf, Nippu, Uruk, Eridu, Ur, Marshes, Charax and Basra. Mesopotamia Iraq special – 11 and 16 days – schedule as above. Provisionally the same pattern of tours and dates but for early booking dates please request. Our new guide book for Iraq. Our principal destination in India has become Kashmir. Note our new tour A Kashmir Journey travelling around Srinagar Valley and down the mountains to Jammu and Amritsar to Delhi. Our Houseboat service for individuals operates also. The Amarnath Cave Pilgrimage trek combined with Houseboats operates from June/July 2018. See our page on India tours for more information these tours.